-Iam just observing the market and that is the reason for my statement. I myself discovered wearables and smartwatches to be useful for my training. Every now and then I report about these experiences on my blog (www.sportspunk.de). Anyway, with any respect for myself, there are more heavy-weight voices in the market, that give hints towards this argument. Let´s take the recent analyst presentation of Apple CEO Tim Cook to begin with. 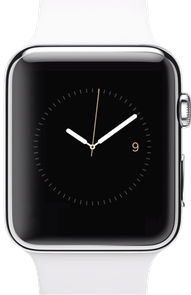 Apple fans and market observers expect the Apple smartwatch in April 2015. As we all know from past experience, usually once Apple enters a market, this market booms. 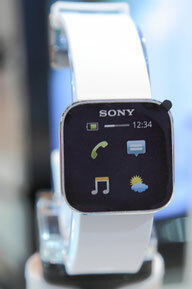 So, this alone will certainly increase the smartwatch market hugely. However, Tim Cook mentioned in this presentation, that with the introduction of the Apple smartwatch the company attains to change the way people think and more important act about their fitness behavior. He observed his colleagues wearing the Apple watch already, getting up and walking around every hour. Why? – Well, just because the Apple smartwatch reminded them to move in order to improve personal health. From this I interpret that the Apple smartwatch will firstly drive smartwatch sales and secondly people will think about their own health and fitness more; driven by their smartwatch. Is this good or bad in social terms? -This is an issue I don´t discuss in this article. 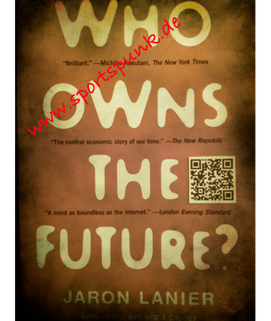 Social effects of wearables and smartwatches in sport, I duscuss for example in the article about the book “Who owns the future” (on my blog and also on Youtube (in German)). At this point, I just want to “warn you” that smartwatches will certainly improve for the use of sport and will surely sell more - beginning this year. 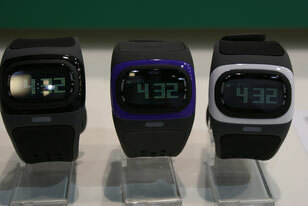 Thus far we expect how the Apple smartwatch will change the fitness and health behavior of the masses. Whereas it is not necessary to wait for Apple. As mentioned, there are other companies serving the smartwatch market already with well working watches and interesting functions as well. 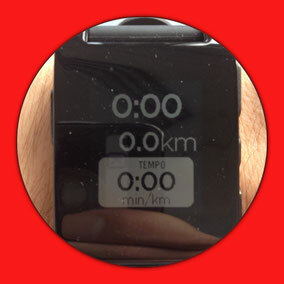 I am currently testing the Pebble smartwatch for sports. Up to now I must say it makes the use of sports apps much easier. Since you have all data during sports at your wrist. Your smartphone stays all the time in your pockets. But I will report more in a separate article. Eric Migicovsky, the CEO of Pebble, is as Tim Cook from Apple, sure that fitness and sports are an essential market for smartwatches. Pebble also makes up its mind how to compete in an ever increasing market of smartwatches. Nevertheless, he recently mentioned in an interview with CNET that in contrast to the Apple watch, the Pebble smartwatch will not be equipped with more and more sensors. The Pebble CEO instead wants to leave this field to the companies who are best at producing those gadgets, like activity-trackers, heart rate sensors and the like. While the Pebble watch will be further developed to be the perfect display for all those data gathered by sensors and apps.